Hi. I'm Nick with C-Line, and today we're going to talk about our neon stitched shop ticket holders. One of the best features of this holder is the bright neon edges that help make special jobs stand out. Use color to organize important information by day of week, customer, and any way you choose. Taped and stitch edges provide extra durability for your documents. Store up to 9 x 12 inserts. Clear on both sides, the holder has a metal eyelet that makes it possible to hang and post information anywhere you need it. This shop ticket holder is perfect for a number of uses in manufacturing, auto-repair, inventory control, office, retail, and ship environments. Order yours now. That's all of the time we have for today. I'm Nick with C-Line. Thanks for watching. Discover why these C-Line shop ticket holders are perfect for an array of different applications. 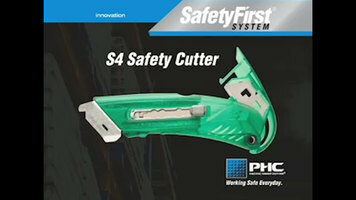 Eliminate workplace cutting injuries and costs associated with damaged merchandise with PHC's S4 safety cutter. Designed with safety and comfort in mind, this ergonomic box cutter is equipped with a multitude of features that work to ensure the protection of both the user and the merchandise. 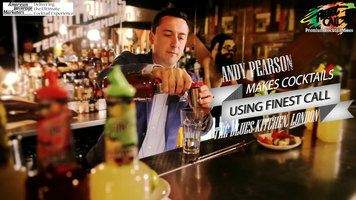 Check out the video for a demonstration! 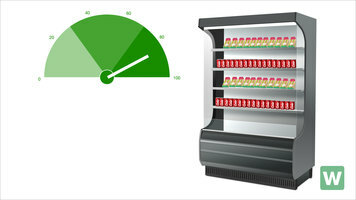 Increase your sales with an air curtain merchandiser! Watch this video to learn which type of air curtain merchandiser is right for your business and how it can help increase your profits!